Hello there! I am Jenny McGarvey, the latest newbie here at York Explore (when I say “newbie”, that’s not technically correct. You might recognise me from my previous blog post, “Getting to Grips with Criminal Histories…”, posted back in March when I was a placement student here, but I am delighted to be back as a member of staff!). I am the new Community Collections Assistant and I am very excited to be working on the fabulous York: Gateway to History project. 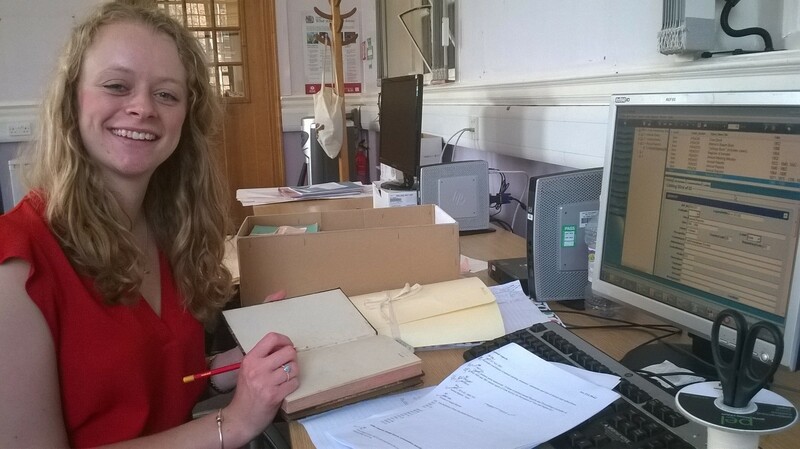 My role is to work with Sarah to help her deliver different aspects of the project; from winding up the Archives Roadshow and cataloguing the collections though to helping deliver the Gateway to your Archives workshops and our Community Collections volunteering programme. 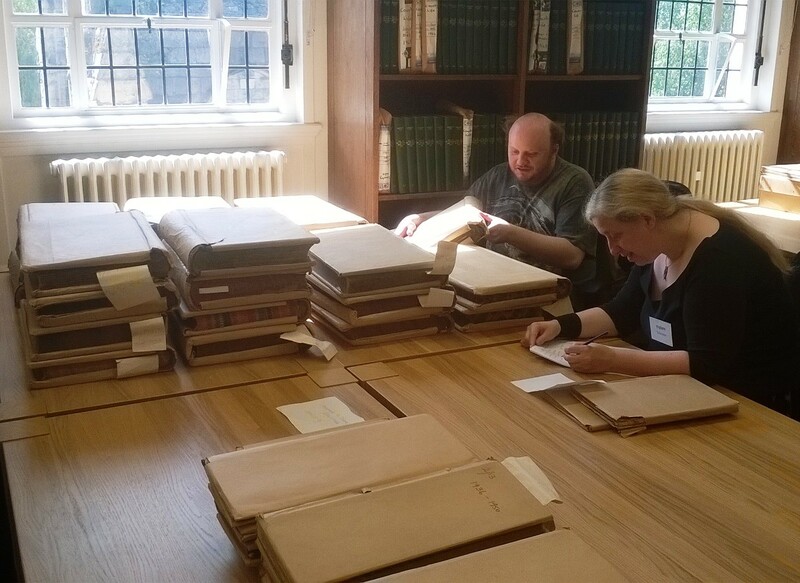 Some of our volunteers working hard cataloguing some of the community collections. One aspect of the project that I am very excited about is the creation of an art installation that will reflect the different views of the local community on the question “What should York remember?”. This is the question that has been put to you, the general public, during our Archives Roadshow sessions that have taken place across all of York’s local libraries over the past few months. A local artist will be using your responses to create an installation that will be displayed in the first floor landing at York Explore. I went along to my first Archives Roadshow session on Monday afternoon at Strensall library, which made for a very interesting first day! We also went along to Dunnington Library yesterday evening for our final stop in the Archives Roadshow journey. It was clear that local history is a popular passion in both Dunnington and Strensall, and it was lots of fun chatting to local residents about the things that they think are important to York’s past. I cannot wait to see the final outcome of the art piece, and how it reflects the huge range of responses we have had about what we should remember about York’s history. 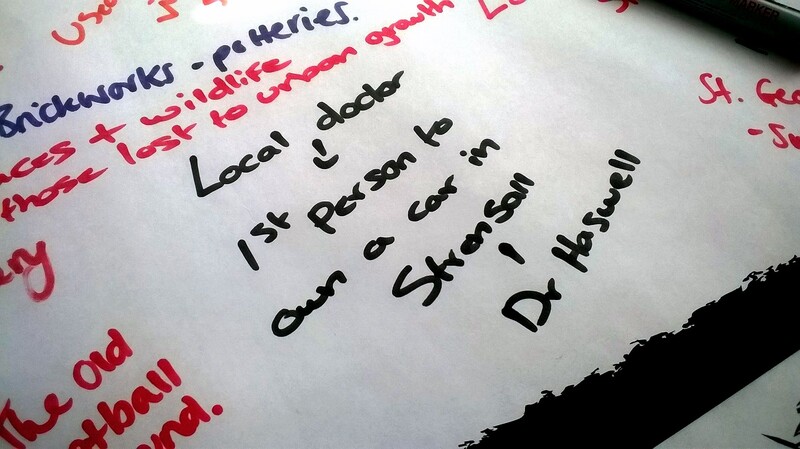 “What should York remember?” – some responses given at Strensall library Archives Roadshow. 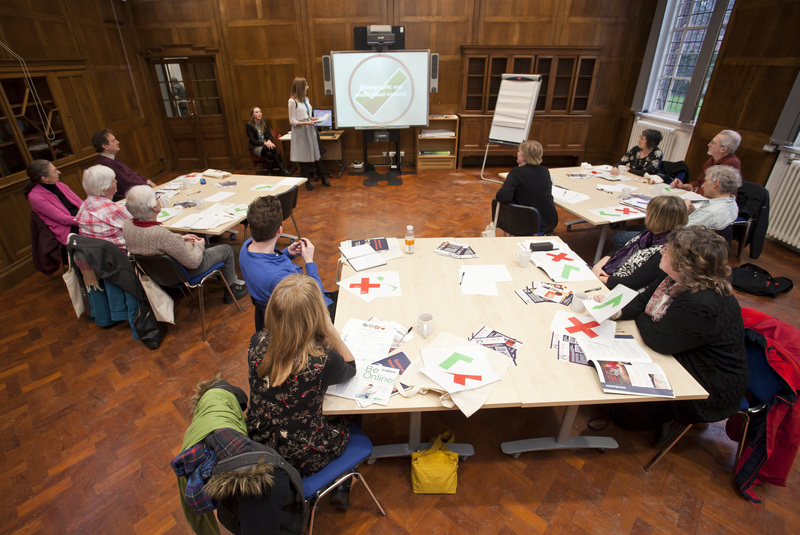 I am also very much looking forward to being involved in the Gateway to your Archives workshops, where we will be encouraging local community groups to develop and manage their own archives. The workshops have been a fantastic success so far and they are an amazing opportunity for us to meet lots of local community group members and help them enhance their archival skills. One of the Gateway to your Archives workshops. Today I have been busy doing my first bit of cataloguing which I am thoroughly enjoying. It has given me the opportunity to have a quick nosey at some very interesting documents and learn how to actually organise a collection logically. I am getting to know the catalogue system and finding it easier each time I log a new entry! I can tell already that I am really going to enjoy this aspect of my job. You’ll certainly hear a lot more from me over the next few months on our outreach and cataloguing work as part of the Gateway to History project here at York Explore, as I’ll be keeping you updated on our latest events and progress through the blog as well as Twitter, Pinterest and Flickr. This entry was posted in Uncategorized and tagged Archives Hub, Archives Roadshow, Branch libraries, Cataloguing process, Collections, Community, Explore Libraries & Archives, Explore York Library Learning Centre, Gateway to History, History of York, Volunteers. Bookmark the permalink. ← What makes you a Yorkie?